Do you feel stuck in your business right now? Unsure of where to go next? Do you find yourself getting super activated and charged about things that shouldn’t cause you so much pain? Do you find yourself “acting out” in ways that don’t feel aligned with your true self? Do you keep using affirmations or mantras to get through the dark times, but wind up right where you started? Don’t worry, you’re not alone. I have a solution for you, and it’s pretty simple. Anger has a pretty bad reputation, and I’m here to set the record straight. This video will teach you about the fiery, powerful nature of this emotion and the damage it causes when you ignore it, suppress it, or try and change it. I’ll also teach you how to leverage your anger in healthy and responsible ways so you can break through your upper limits of success and happiness + so much more. Click the image below to watch. Let me know what you think! Reply to this email with any questions or comments. I can’t wait to get a healthy conversation started on one of my favorite subjects. P.S. I’ve extended the bonuses in my Wild Woman Entrepreneur program and I have room for 3 new private clients only! 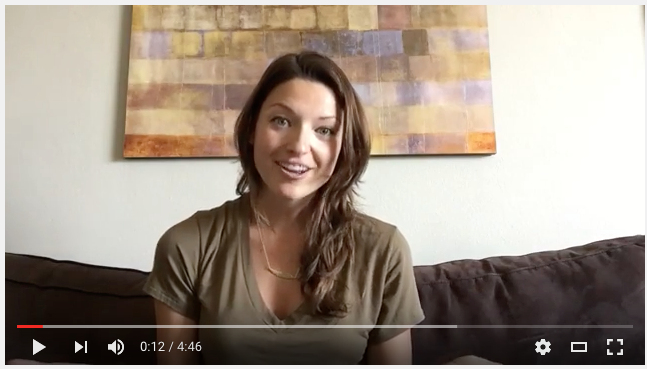 In this program I’ll help you find your message, leverage your emotions, and return to your Wild Woman wisdom so fear, shame, or procrastination never take you out again. Click the image below for more information, bonuses end soon!